My mother pulling me in the little red wagon to the public library each week before I started kindergarten. I checked out the maximum number of books allowed each time—ten. My English teacher in high school encouraging me to join the newspaper and yearbook staff. She saw something in me that I was not aware of myself. Many people have attributed great things to teachers who made a difference in their lives. Teachers have impact. Finding my soulmate, marriage and children. Nothing is more fulfilling in life. Moving from Illinois to Colorado. I should have been born in the west because I am a westerner through and through. 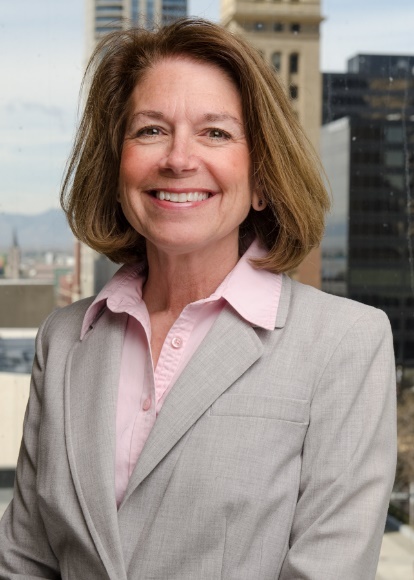 Landing a paralegal job at a major law firm in Denver. This taught me analytical skills and taking care of details. Joining Toastmasters. This gave me confidence in public speaking and taught the value of an elevator speech (a 30 second, concise, plug for yourself or your book). Receiving a reply to a fan letter I wrote to Erma Bombeck. I have always been a huge Erma Bombeck fan, reading her column and all of her books. Her writing is both profound and humorous. Teaching CLE classes for paralegals. Once I worked my way through Toastmasters, I started teaching day-long seminars for continuing legal education credits. This was an incredible career booster and confidence builder. Submitting my first article to a national paralegal magazine and being asked to write a regular column. At this point I realized writing was something I wanted to do full time and started taking my efforts seriously. 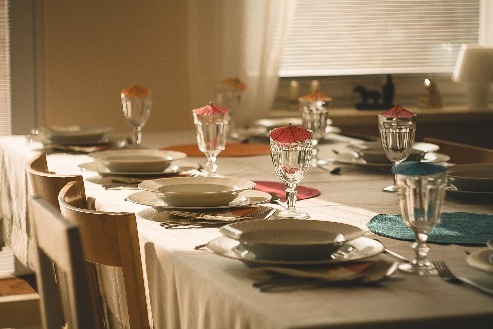 Joining a gourmet dinner club group taught me how to host a dinner party, how to set the table and present gourmet dishes, and how to plan an event. I also learned to be daring in trying out new and complex recipes for the first time while hosting 6-8 people for dinner! This became the basis of my dinner club murder mystery series. Fun, Karen! Your passion and enjoyment for the dinner club really shows through in your writing. Love the little red wagon story. 🙂 Thank you so much for joining me today! Jane Marsh wants to shake off the empty nest syndrome, plus the notoriety of the death of her first and second husbands, by starting over in a new place. She sells her family home to move to a far northern suburb of Denver. At the same time, Jane’s dinner club is undergoing a transformation, and a new man—a gourmet chef—enters her life. But, things turn sour when, on the day Jane moves into her new home, she discovers a dead body. She cannot feel at home in this town where she’s surrounded by cowboys, horse pastures, and suspects. Not to mention where a murder was committed practically on her doorstep. How can she focus on romance and dinner clubs when one of her new friends—or maybe even her old ones—might be a murderer? She slipped outside into the warmth of the early September, blue-sky, Colorado day to check on her puppies sniffing around their new territory in the backyard. Leaning over the deck railing facing the lot to the east, she gazed into the bottom of an open excavation where a basement was being poured. Someone had parked a tractor down in the dirt, and near it a white cowboy hat lay on the ground. A man’s hand stretched toward the hat’s brim. Had someone fallen into the pit? Jane bounded down the deck stairs and out the wooden gate, only stopping for a moment to secure the latch. She rounded the corner of her new house and rushed to the adjoining lot, pausing near the edge of the concrete that formed the basement’s foundation. A man was shoved against the corner of the foundation wall. His torso and legs were partly covered with dirt. The cowboy hat concealed the top of his head. His left hand almost touched the brim, as if he were about to take off his hat and say, “Howdy do.” A large manila envelope lay a foot or so away from his other outstretched hand. I loved the little red wagon story too. I also love Erma Bombeck. My mom introduced me to her books when I was a young girl. “The Grass Is Always Greener Over The Septic Tank” was one of my faves. Still consider her one of the best “realist comedy” writers of all time. I’ll be sure to look for your new book and add it to my reading list. Love a little mystery in my book reading. Have a blessed day! Thank you for your comment. Have a good day too! Little red wagons, encouraging teachers, and family. Good influences create the total person. Loved your list. And your book sounds awesome! Best wishes for many sales! Thanks. I don’t think anyone uses the little red wagon anymore but it brings back good memories for me. 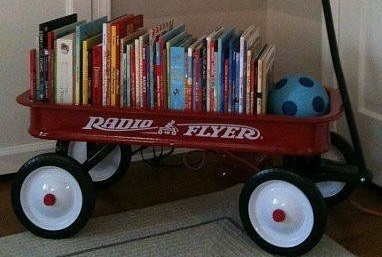 Awww a little red wagon, it too have one of those in my memories, filled with books from the book mobile each week. We have lots in common, I was a paralegal for a criminal law firm 18 years. Best of luck with Not According to Flan, I look forward to reading it. I love mysteries! Off to Amazon. Yes. We do have a lot in common. There are a lot of us legal-types who are writers. As a long-time English teacher, I especially appreciate your kudos to influential teachers. I hope I inspired some of my own students as your teacher did. Dinner Club murders! Delicious! There are several teachers who are close to my heart. I’m sure your students feel that way about you. Thanks for your comment. I love how joining a dinner club was something that changed your life. It just shows how you never know what might greatly influence you — nothing should ever be discounted! The book sounds great! Good luck to you! It’s so true – even a seemingly small thing may change the course of your life. Thanks for your comment. I’m really impressed with all the steps you took to succeed as a paralegal and as a writer. I hope Not According to Flan does well! I love mysteries. Sounds like a great series. Best of luck! Great excerpt. 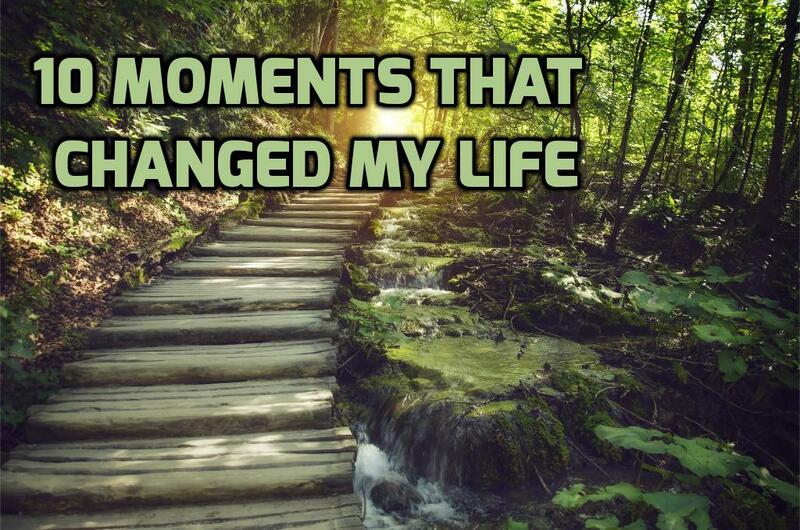 Your 10 moments showed what a great life you’ve led. Best wishes. Thank you for your comment and good wishes. I’ll bet you’ve had a pretty wonderful life yourself.